Every rose lady should smell so sweet. This siren can lure you into a hypnotic trance with her heady damask rose perfume and lurid costume of hot pink. 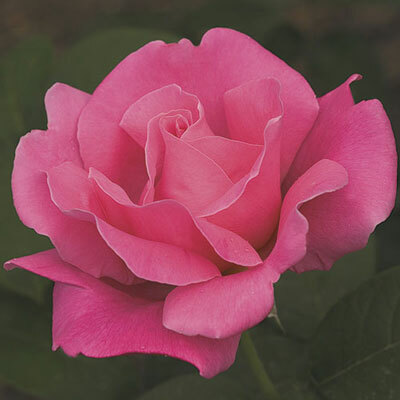 She has big shapely buds and blooms borne on long strong stems. The vigorous upright plant is attractively robed with large dark green leaves. Established plant gives more bloom.